Pond liner makes even the most difficult pond construction scenarios possible. 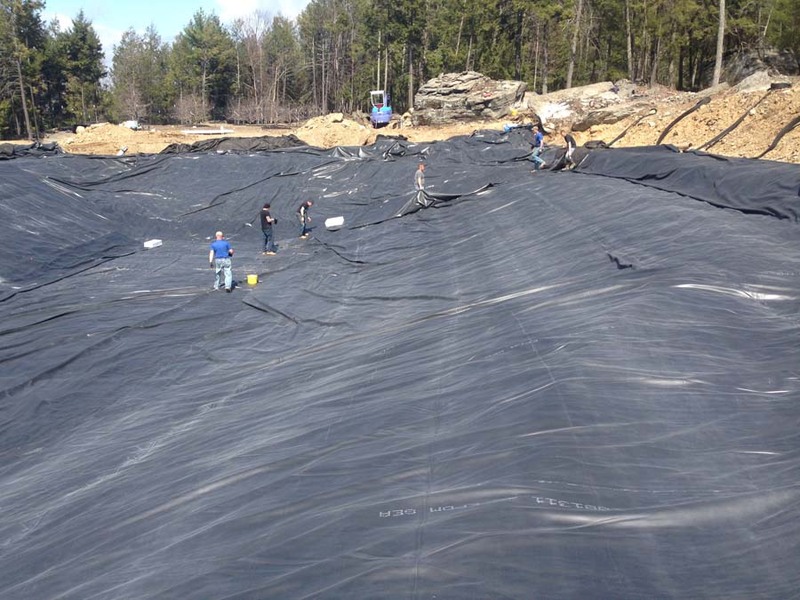 We've constructed lakes on sand and bare bedrock using geo-synthetic liner! Virtually any size or shape pond/lake can be lined with an appropriate material to create a completely sealed bottom. 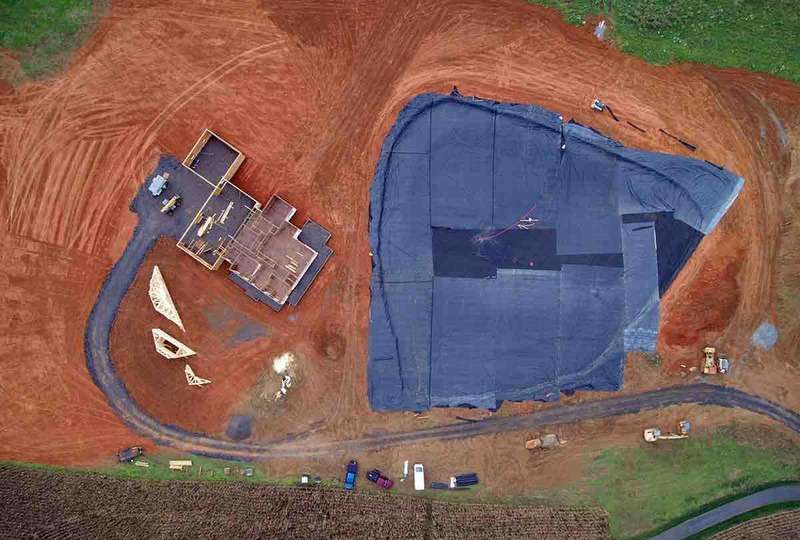 A properly designed and installed pond liner system can solve even the worst leaking pond and lake problems. 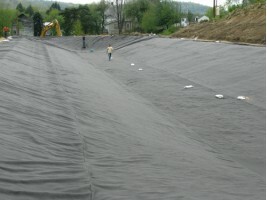 Determining the type of liner to use and how to properly install the liner can be confusing. Rely on our experience! For more information about liner systems including liner system design, materials, and installation please contact us directly. Be sure to ask for our FREE comparison of pond liner systems and be sure you're making the best decision! 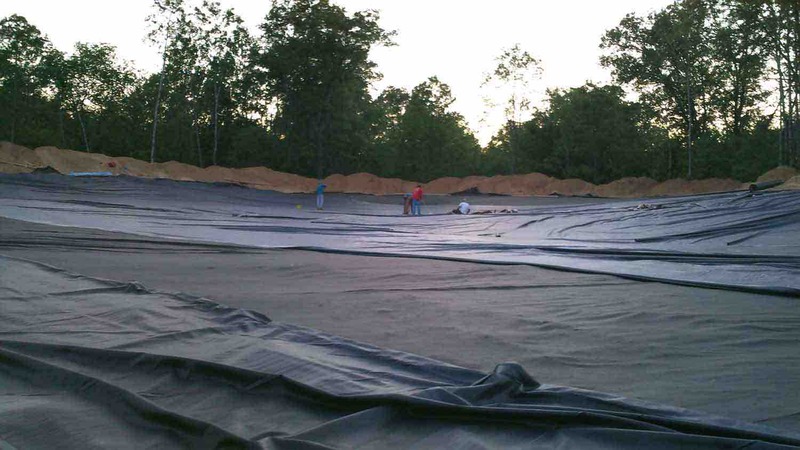 See a featured pond liner installation project step-by-step here.